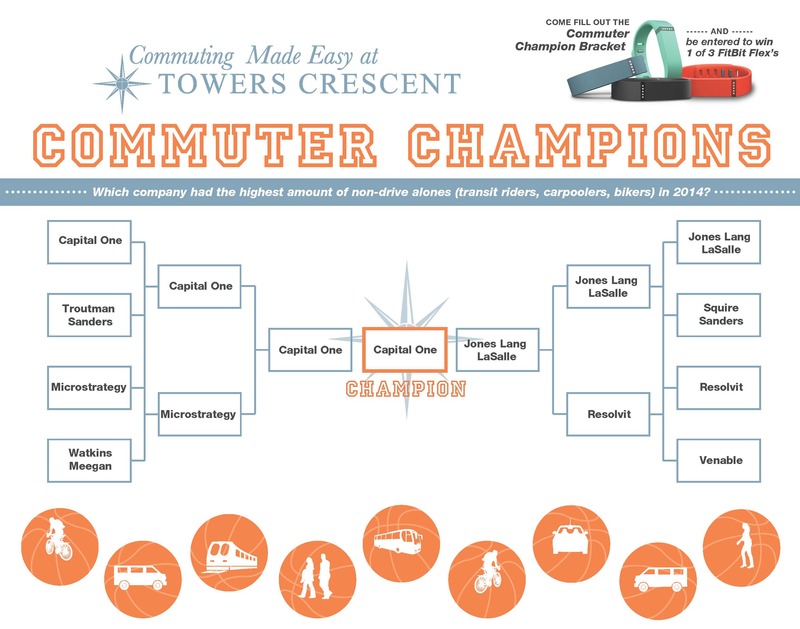 Congratulations to our Commuter Champion Bracket Winners, Sarah Noyes with Capital One, Eva Zhilyaeva with Capital One, and Jia Tang with Microstrategy who had a perfect bracket. For more information on how you and your company can be commute champions email us at info@tccommuting.com! Check out the complete bracket below!